It's always been difficult to attract developers to these platforms, and now smartphones powered by the OSes are also falling behind affordable Android devices on hardware specs. So not only must their users put up with a smaller selection of apps, but also with less powerful devices. Case in point: Samsung Electronics' Tizen-based Z1, which after many delays premiered this year in India, a country with a low smartphone penetration. But others also saw the opportunity, and today competition in India and many other developing countries is even more heated than in Europe and the U.S.
Mozilla is working to ensure future Firefox OS smartphones meet or exceed expectations in terms of performance and reliability, at all price points, CEO Chris Beard said in a recent email to the community. As part of this reboot, Mozilla CTO Andreas Gal, who co-created Firefox OS and wrote the first lines of code, is leaving Mozilla this week. The push to build $25 smartphones hasn't been as successful as the organization had hoped. The lesson is that Firefox OS phones have to offer something more than just a low price. 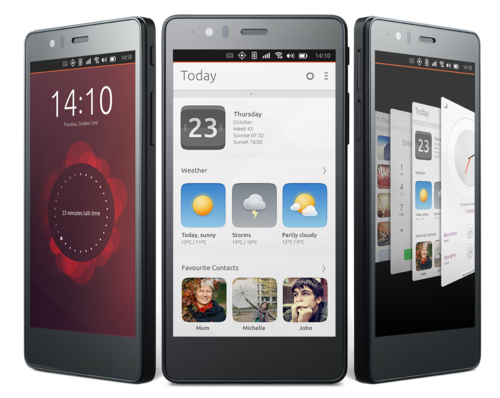 It will also be the first Ubuntu device that's not based on a previously released Android smartphone. "For once we'd like to come out with a device at the same time as it comes out on Android," Parrino said. For example, BQ launched last week its second device running Canonical's OS, the €200 ($220) Aquaris E5 HD Ubuntu Edition, whose Android edition started shipping last year. The smartphone has a 5-inch HD screen, a 13-megapixel rear camera and a 5-megapixel front camera. While the launch is a step in the right direction, the smartphone lacks LTE and features a low-end quad-core 1.3GHz Cortex-A7 processor from MediaTek. One development that would help all the OSes is wider support from smartphone manufacturers, but up and coming vendors such as Xiaomi and India's Micromax Informatics have showed little interest in the newcomers, preferring Android instead. Xiaomi has its own MIUI user interface and Micromax is collaborating with Cyanogen. The alternative OSes don't have enough scale. When even Microsoft is struggling to compete, it's hard to see how the smaller platforms can make a difference, Micromax chairman Sanjay Kapoor said in an interview earlier this year. To help with growth, Samsung has installed Tizen on smartwatches and TVs. The latter is a product category Mozilla is going after, as well. Panasonic has started rolling out its first Firefox OS Viera TVs. Success won't come easier in these two sectors, but it could help raise the profile of the two operating systems.